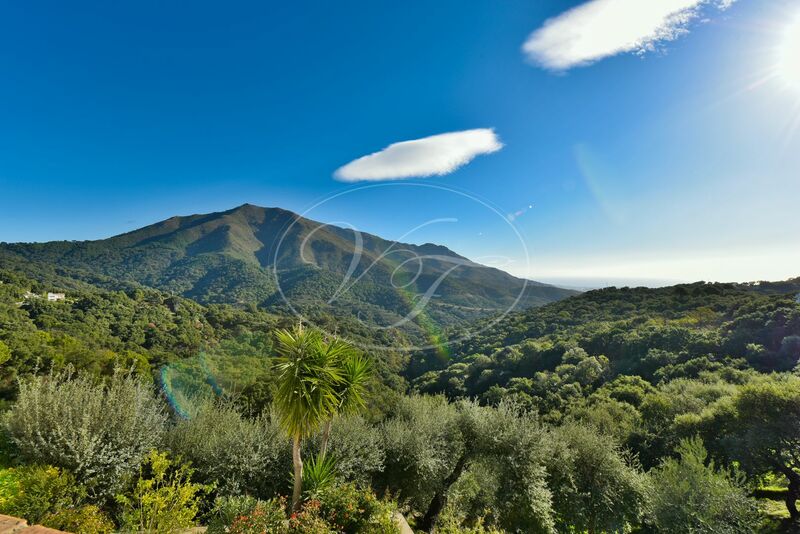 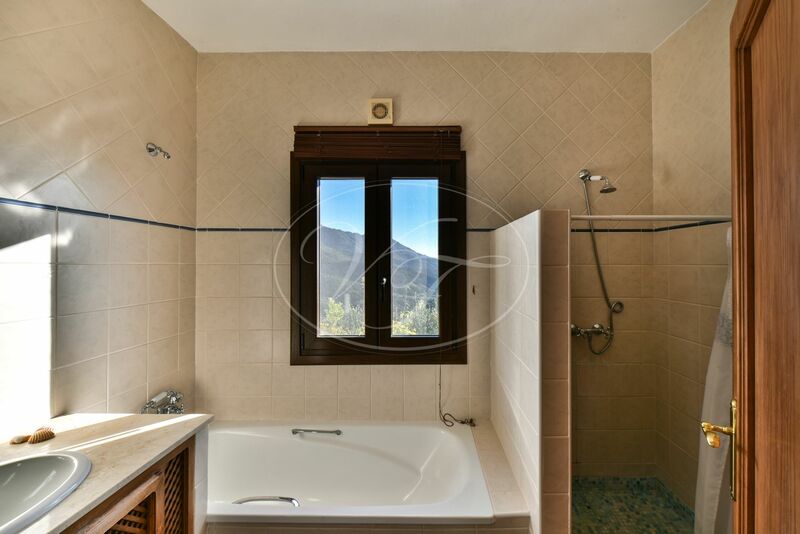 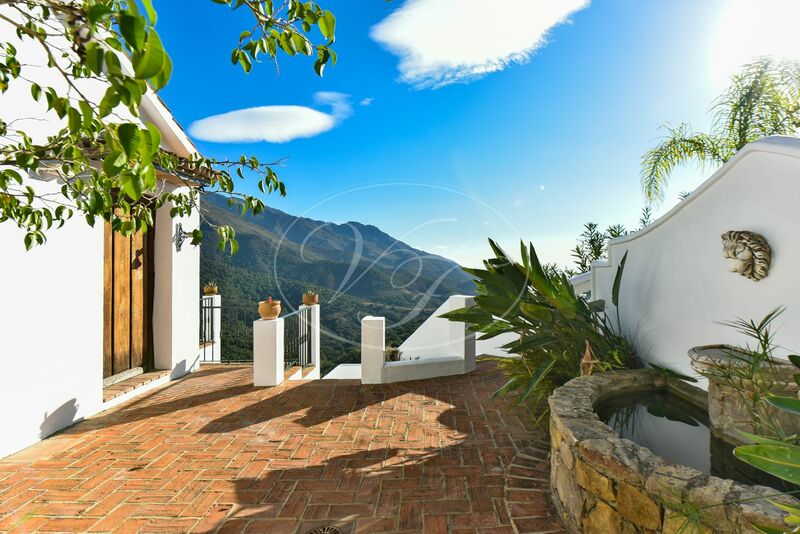 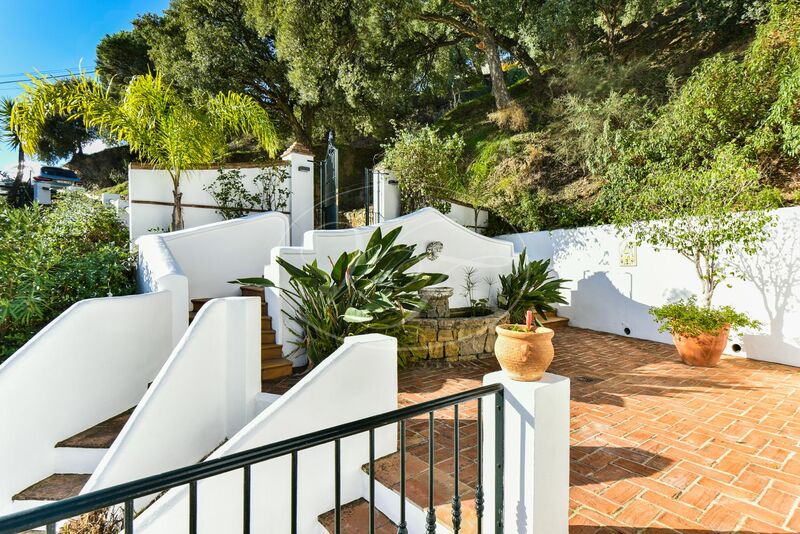 Lovely country house for sale in Casares, Malaga, Andalusia. 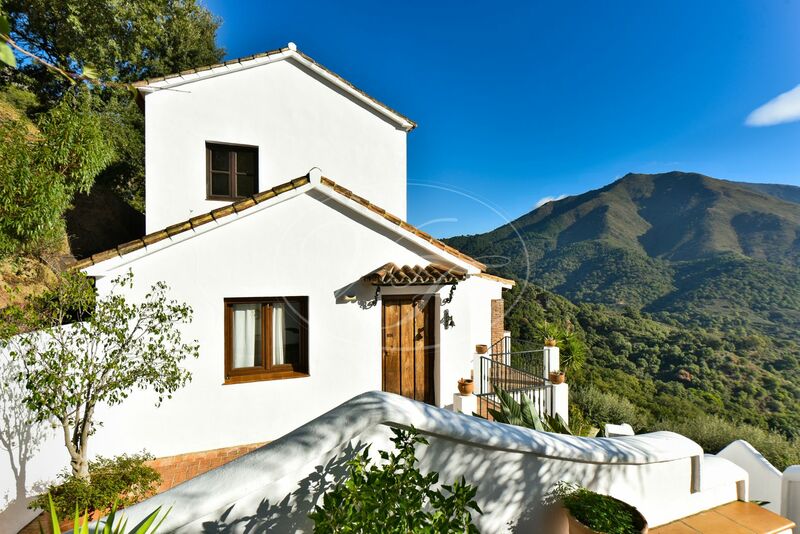 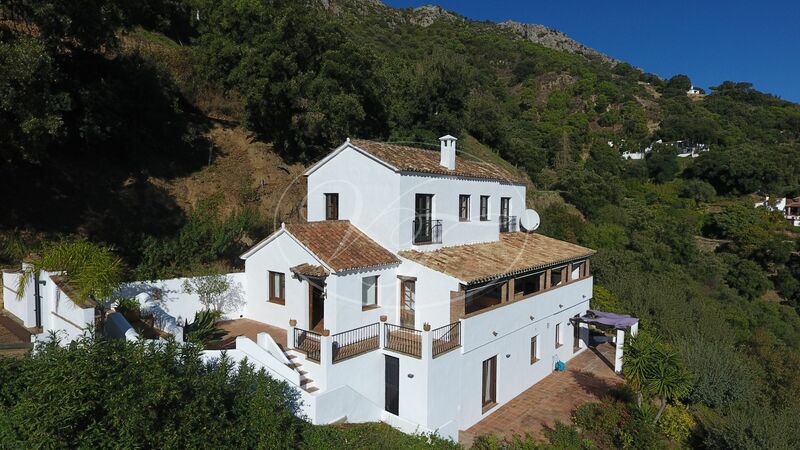 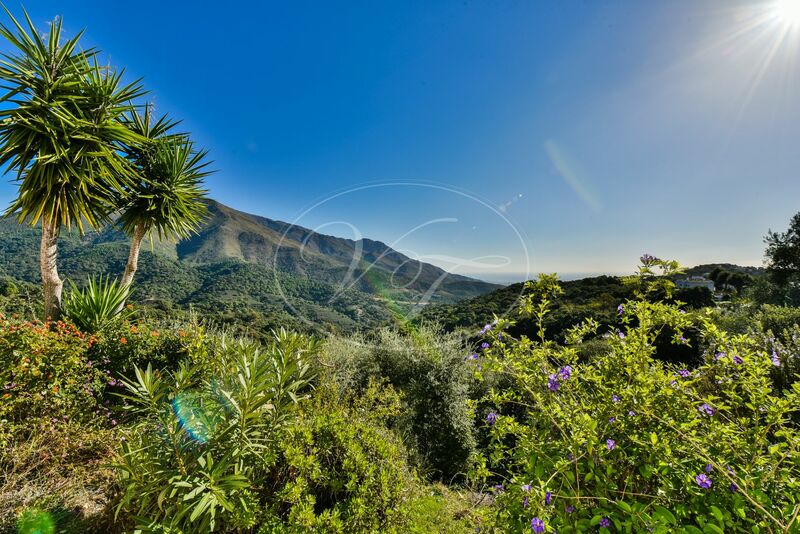 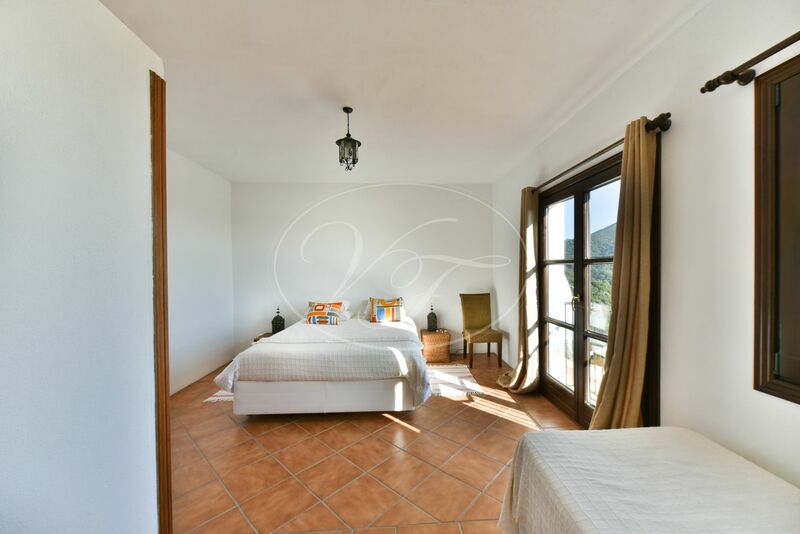 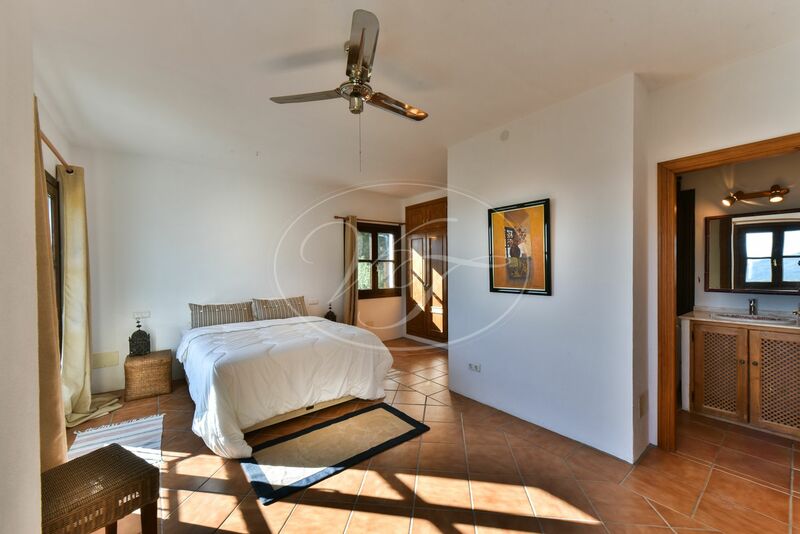 This 4 bedroom finca has stunning views over the Mediterranean sea and the mountains. 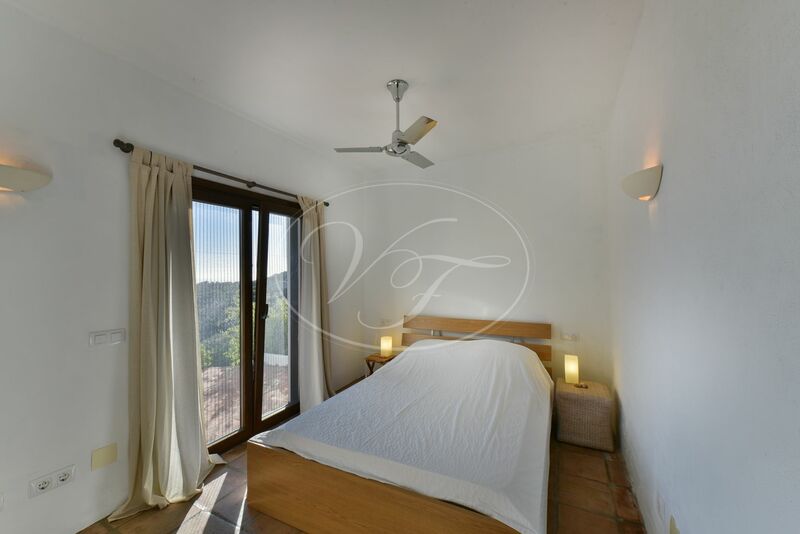 The property is divided into two units, a two bedroom main house and a 2 bedroom guest apartment. 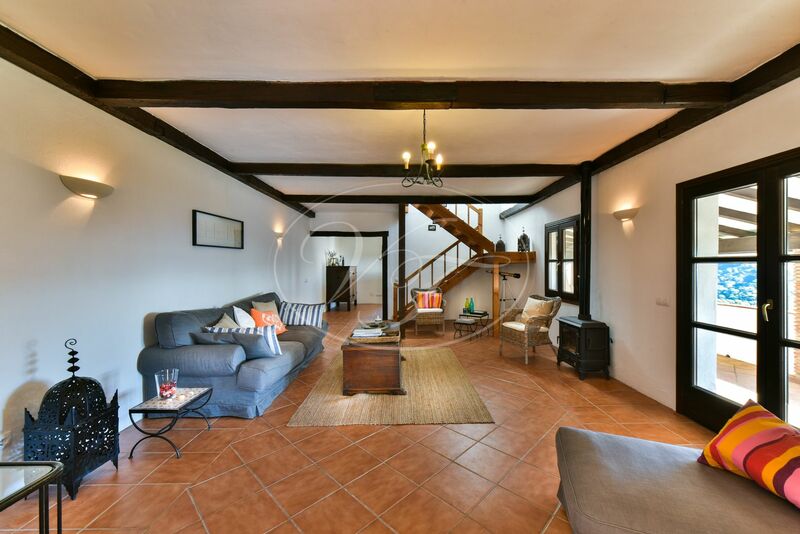 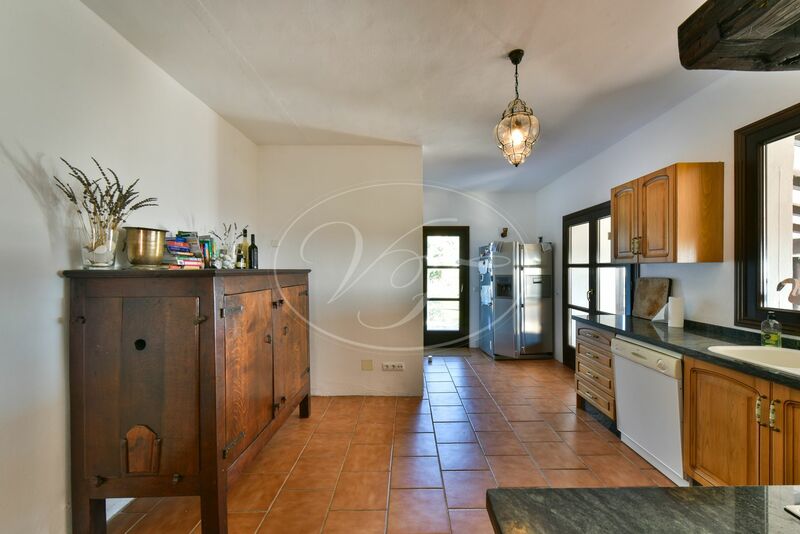 The main house comprises of an entrance, spacious living room with open plan kitchen, a laundry room which has a walk in shower and washes basin. 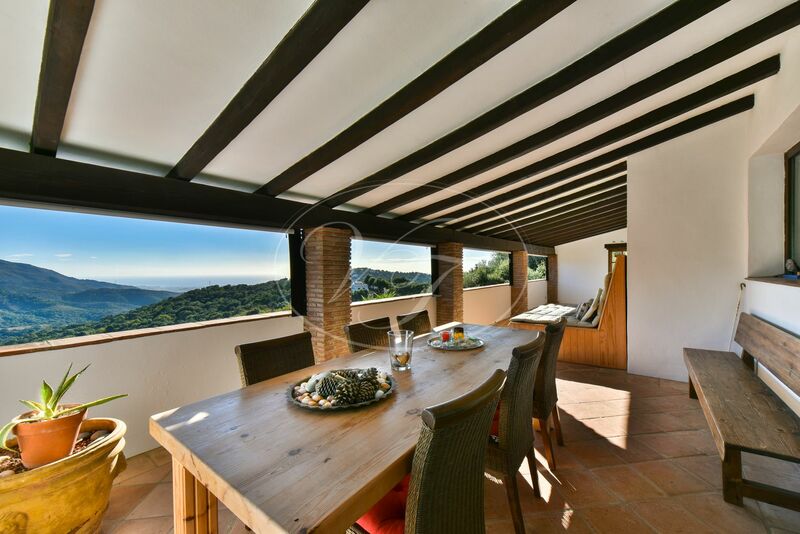 Outside large covered terrace over the full length of the property, perfect for al-fresco dining and lounging whilst enjoying the spectacular view. 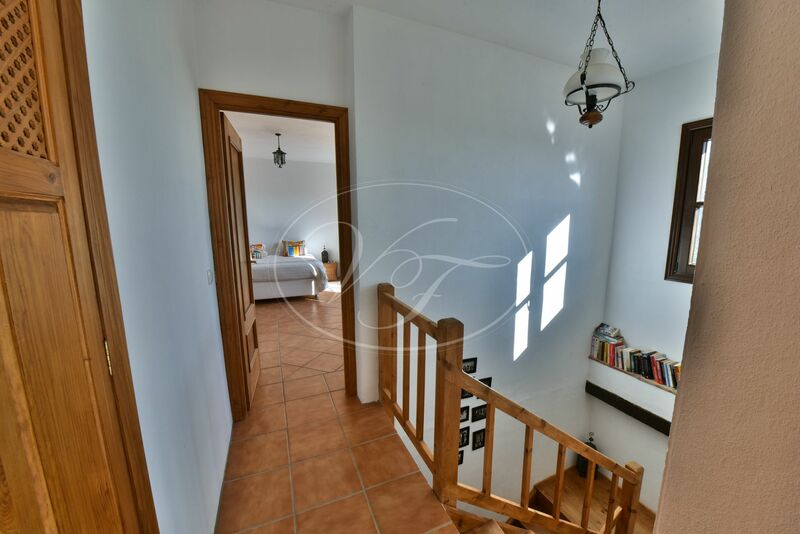 A wooden staircase leads to the first floor with 2 large double bedrooms, each with bathroom en-suite and fitted wardrobes. 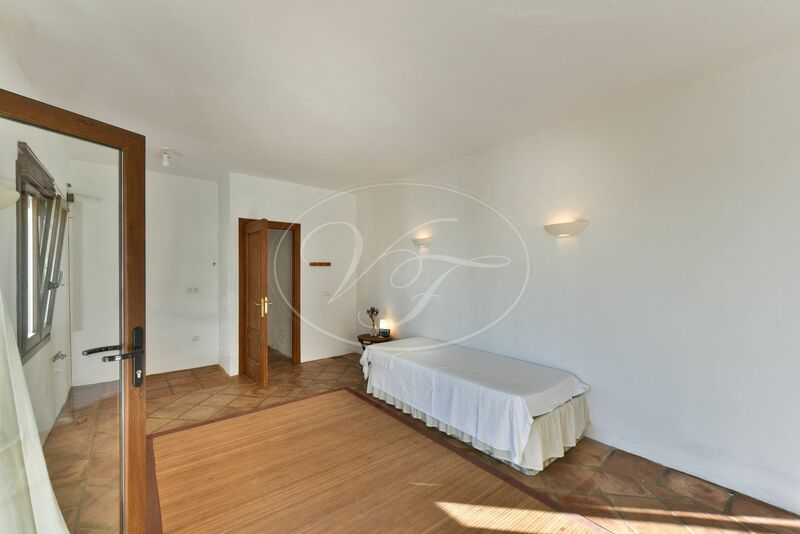 The guest apartment is located in the semi-basement. 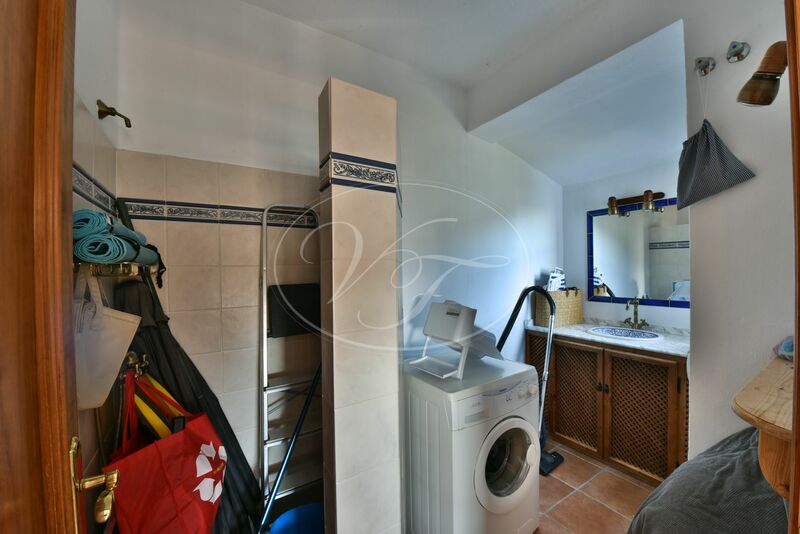 It used to be a one bedroom fully fitted apartment with kitchenette but the current owner has converted the living room into an extra bedroom. 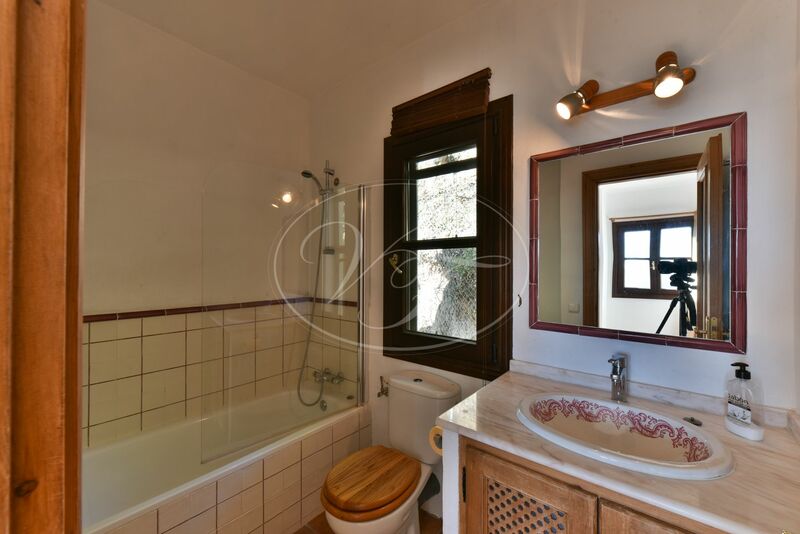 So now it consists of 2 bedrooms, each with its own entrance, sharing a bathroom. 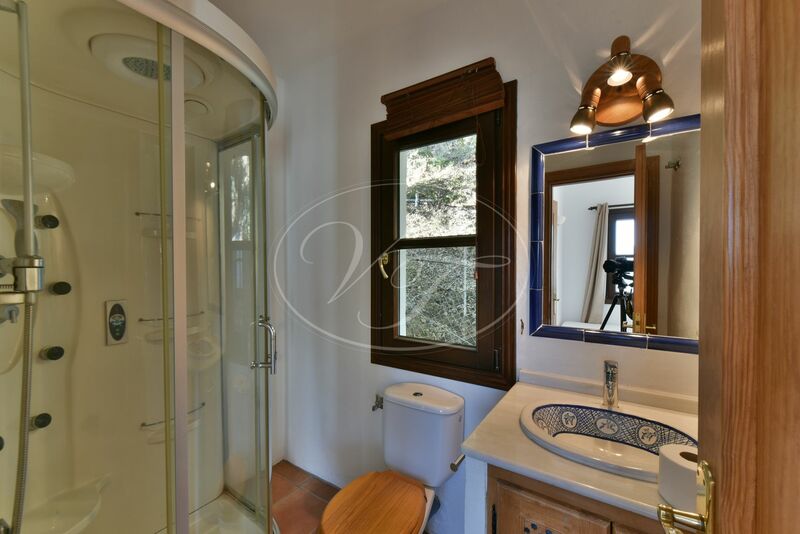 There is also a laundry room at this level with washing machine, dryer, refrigerator and storage. 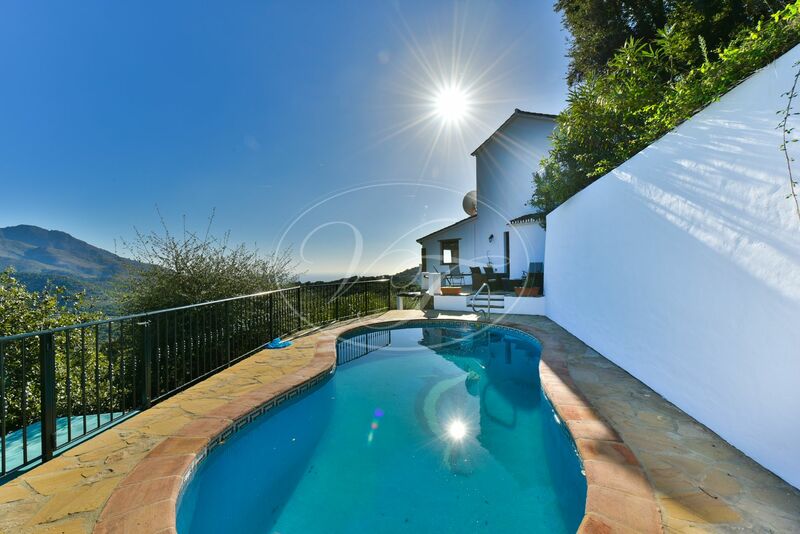 Outside lovely terraces with fountain, pool with decking and sun loungers and a well-kept garden. 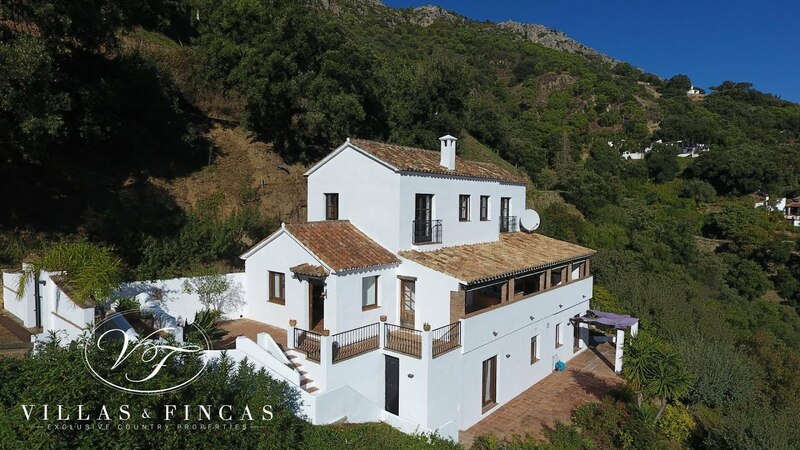 The finca is connected to mains water, electricity and ADSL internet and telephone. 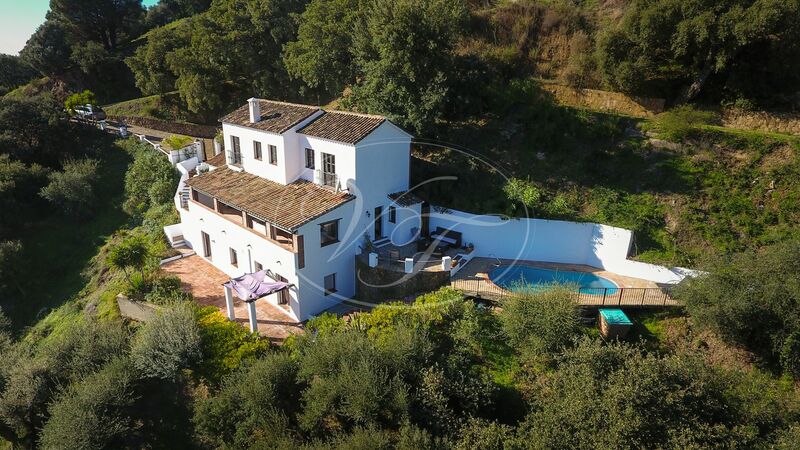 This lovely country house is an ideal holiday home. 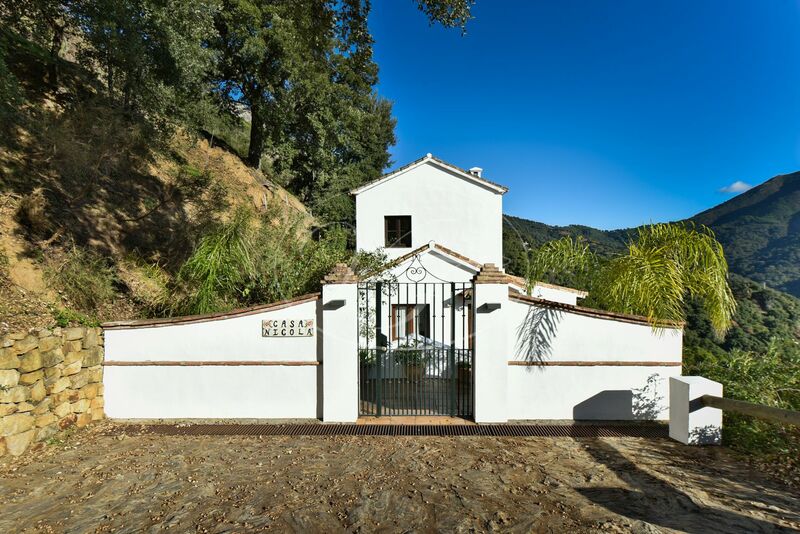 It is located at only 15 min. 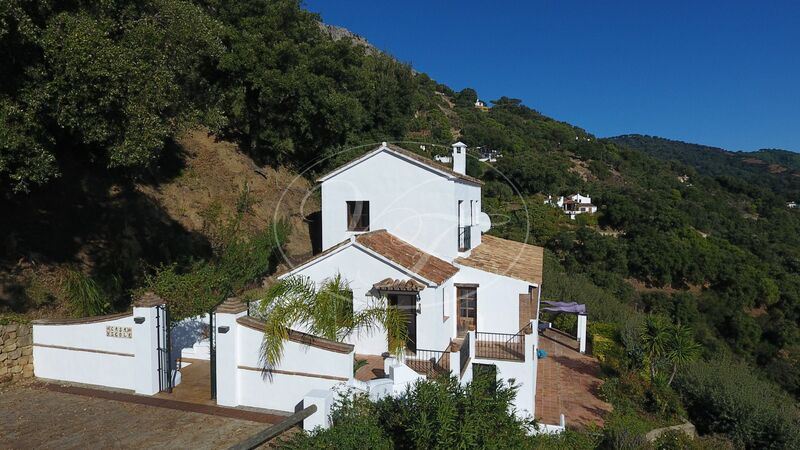 from the beach, 7 minutes from the white village Casares and 1 hour from Malaga airport. 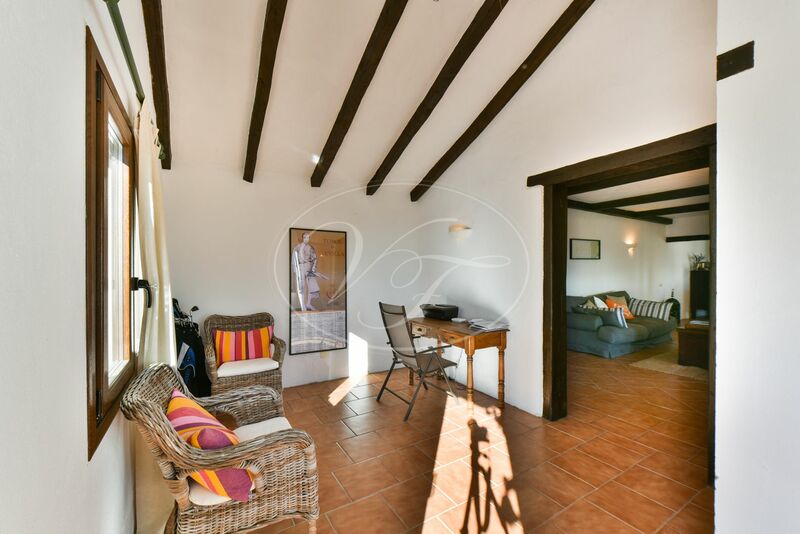 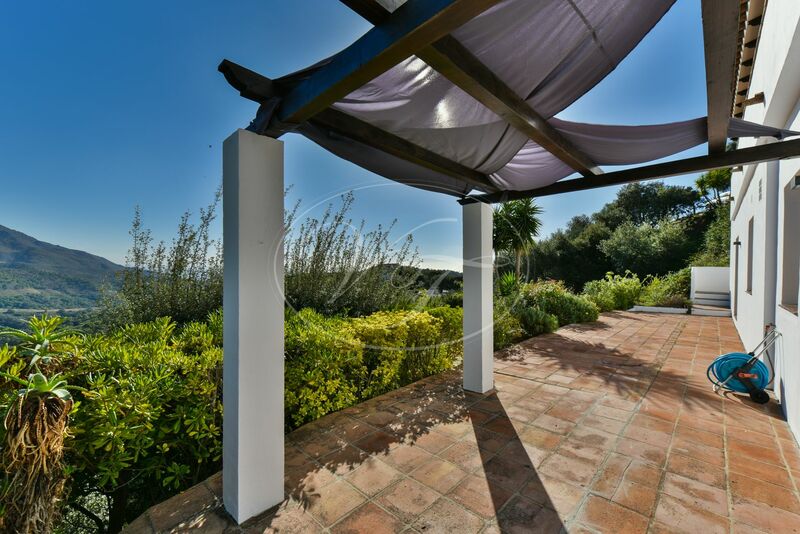 Close to several excellent golf courses (Sotogrande) and 3 Yacht harbours. 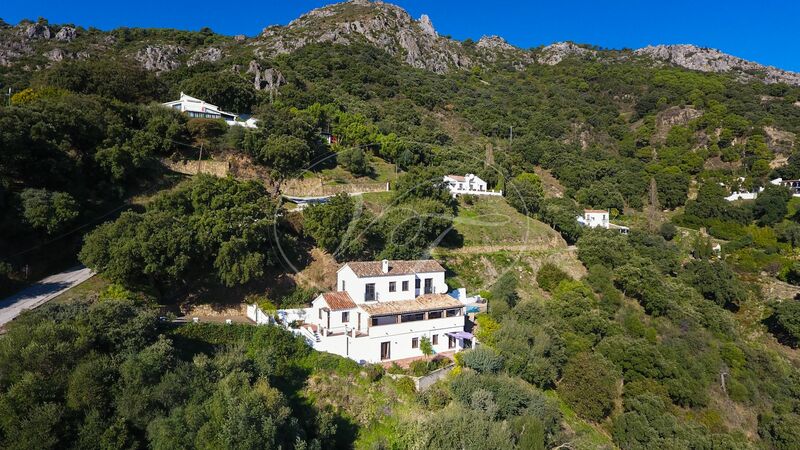 40 minutes from Gibraltar. 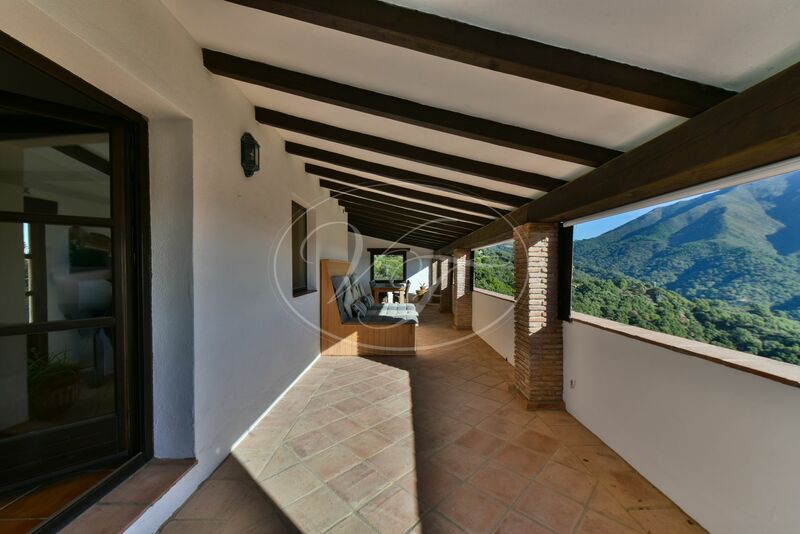 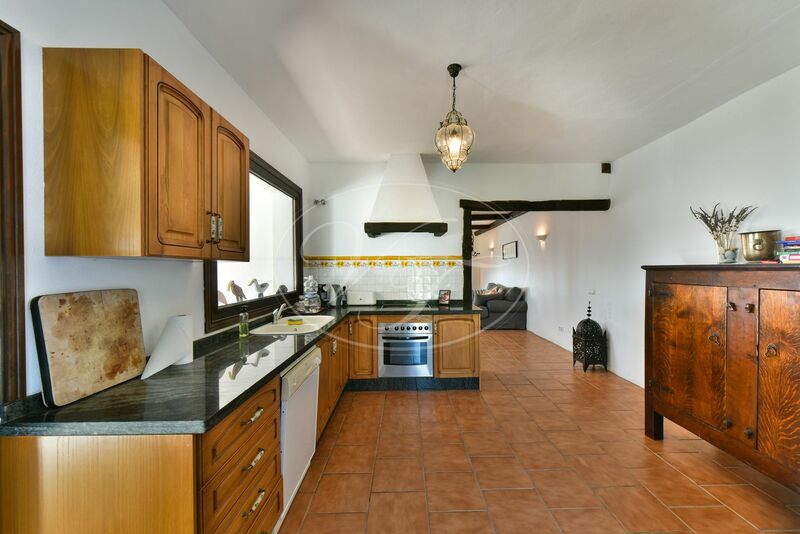 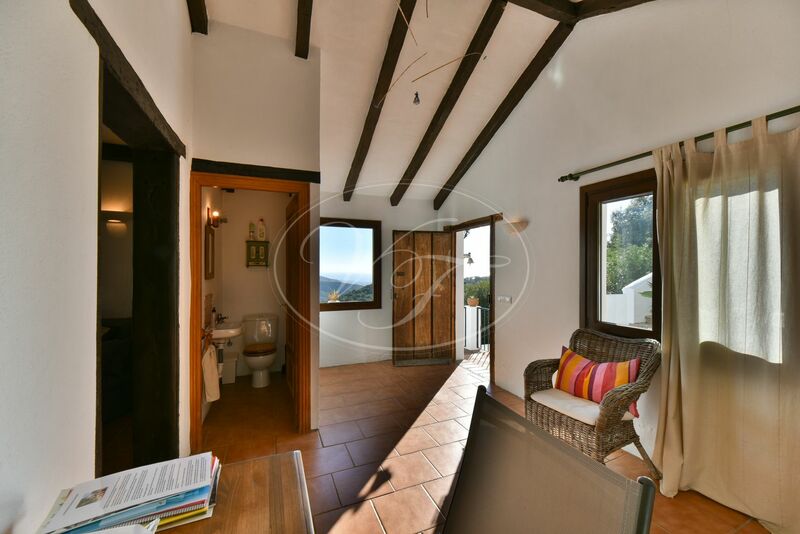 Please, send more information about ref 186-00633P, Country House in Casares or similar properties.